I recently saw a movie called "Splice" a Canadian-French science fiction-horror film directed by Vincenzo Natali and starring Adrien Brody and Sarah Polley, who portray a young scientist couple, choosing to introduce human DNA into their work of splicing animal genes. The two scientists secretly create a human female who has a whole lot of animal instincts and super type abilities as well as certain animal features. I found this film to be extremely disturbing but wanted to find out if something like this "playing God" so to speak would be scientifically possible? Previous Can cranberry juice help urinary infections? Next How do fish survive the pressure underwater? what would happen if you put wolf blood in human not a little but a lot. Can you “clone” humanoid animals? What if you mixed my DNA with an alligator's DNA? 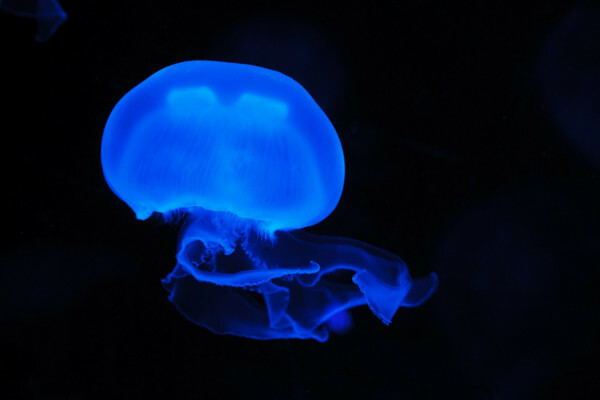 Has jellyfish DNA proteins ever been injected in to a human with cancer of any kind on a trail basis for testing? Okay, so the article was really neat. Other people. You're already made entirely any sunbird changes would be very minor. The next generation may are change but more likely then not it would either never happen or in 20 generations or so given that the gene was a primary trait might Express itself. In the womb, as a fetus is entirely different. There could be catastrophic results or there could be nothing. As far as dinosaurs, that is already being worked on. There have been successful clones of mammoths. But cloning and Gene manipulation are on separate fields. They're similar but separate. And no to the Spiderman wall climbing stuff. Think about it this way. Even if you could grow won't for instance from bird DNA. What would be the point? You wouldn't be able to use them. Not without a way to manipulate the density and weight of your bones and body. Think strength, if you could lift a car. Cool, but then would your back hold out? How much energy would you consume. If you got shot your still bleed. They're would be real life consequences. No "power" would really change life butter for us. My guess is once you had it, it would feel like a curse because it wouldn't give what your thinking to you. It would be the realistic and logical part that would happen. Just a quick question! So I read that 1 gene wouldn't be responsible to perform or act let's say being able to smell or see incredibly well. So is it possible to dna transfer someone's genes with more than 1 of an animal could the person inherit some of that animals capabilities? Also how does dna transfer work exactly? How do you transfer your genes? Would it be possible if a person (willing subject) were to try and see if mixing their genes in with let's say a birds would they gain some of the abilitys of the bird like could they grow wings (the wing would of course start small because that is how everything starts) but would it be possible for this to happen or is it to much of a strain on the human body or is it just to big of a genetic change for the body to do? And let's say it is possible would the human be able to fly? If it were possible would the wings grow so it matches the size of the human or would it only grow to the size of the bird ps normal wing spand? WHAT ABOUT MIXING A FOX DNA INTO A FEMALE HUMAN BABY/EGG? What if a select group of people were fused with the DNA of a python? What would happen? Would it be possible to find one specific trait in an animal and extract it and give it to a specific part of a human. For example would one be able to find the gene that allows spiders to crawl up walls to extract that from a spider and transfer it to the hand of a human? So far (Through what I have read), a small addition in DNA from another animal into human wont make much of an impact but. What if the DNA of a Fish or a sort of other aquatic animals when the human is developing in the Fetus, would that make an even bigger impact on the human due to it not being fully created? Or would it be Illegal and Unethical even with the parents consent. Even if the lab agreed to pay all damages and or fees needed to compensate the family. What I am trying to say is, would it be possible to create an "Amphibious Human" That looks just like a regular human but can survive in both water and on dry land without any health risks?? If someone was to be fused with say a wolf would that person have animal features? If people were fused with foxes then would that creat communicating humanoid foxes (Tails-me of course)? Is it possible to have or develop some animal features? Like say if someone did fuse animal and human DNA together and that person would have animal add-ons? In a word, no! Humans, cats and skunks are quite distantly related, although both are mammals. While it's true that we share many of the genes that make our cells work, the genetic make up of each species is unique to that species. With genetic engineering techniques, however, you could potentially confer certain traits from one species upon another, but this would be limited. Let's say someone is cremated. Since they are still matter is it possible to change them back into their original matter? A human? Would it be possible to isolate the markers for a specific hair color of a human and integrate/splice that into an equine embryo for a specific coat colour? HOW IT CAN BE POSSIBLE///?????? yes,you would have to find fly fossils which were around the dinosaurs and extract DNA from them.then you could possibly create a dinosaur although the DNA would have to be mixed with a close dinosaur relative:the chicken. What you have suggested is not feasible. Why should a "fly fossil" contain any DNA at all, let alone dinosaur DNA; the record for reading ancient DNA is from a horse that lived 700,000 years ago (https://www.thenakedscientists.com/articles/interviews/whats-oldest-dna-...) and was just feasible. What makes you think a "fly fossil" from over 70 million years ago would be feasible? I had read a report concerning mice that had subconsciously developed the P1 gene which is able to regenerate lost limbs. I reason that if mice could generate that within themselves via thought process why can't we? In the absence of self generation, would it not be feasible to infuse such into a human being. The question lies in how? Do I need to infuse through the brain being that is where DNA is made? If so could I utilize sesquiterpenes in that the permit alteration as well as passage through the blood-brain barrier?